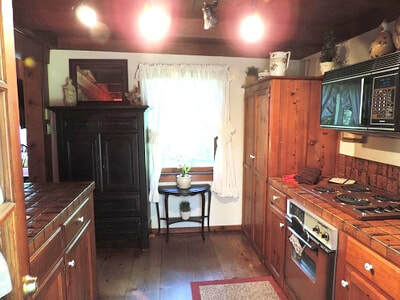 "Idyll Hours" cabin results should be displayed first after submitting request. 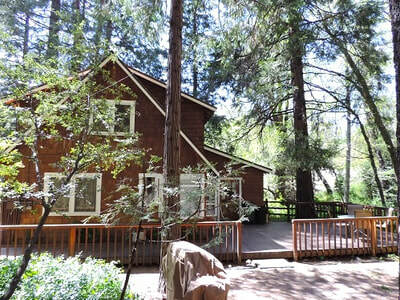 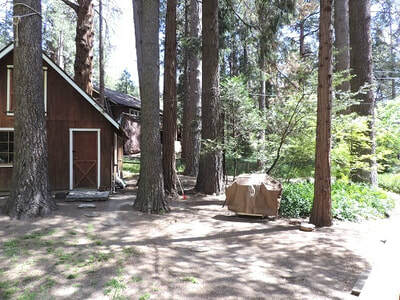 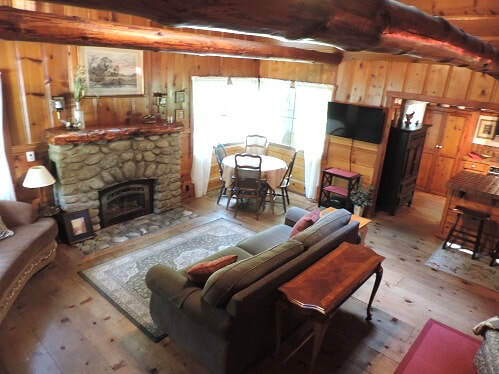 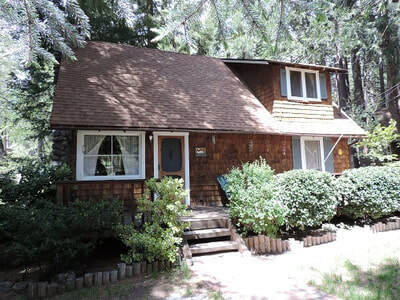 Idyll Hours is one of the last Classic Rustic Cabins in the Idyllwild area. 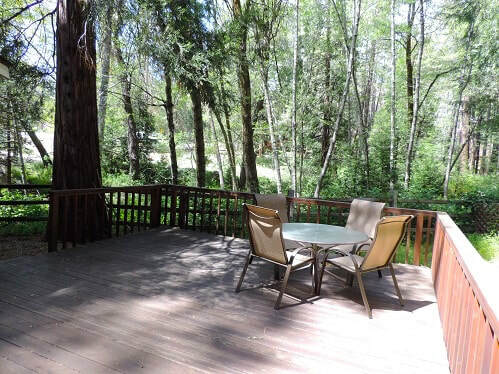 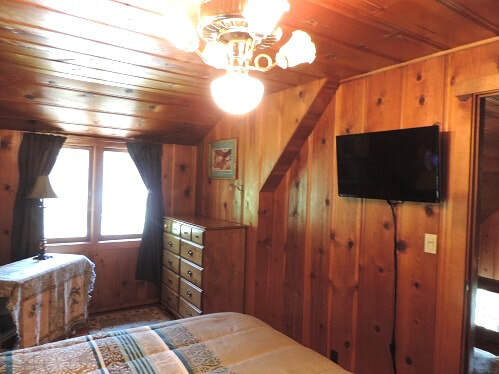 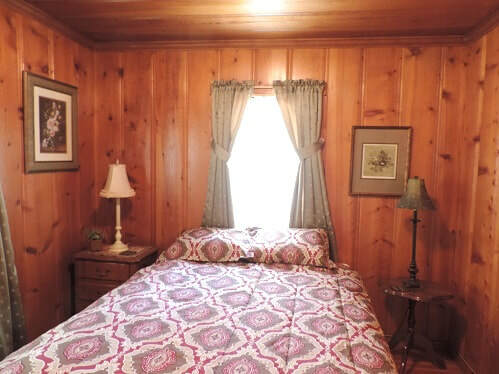 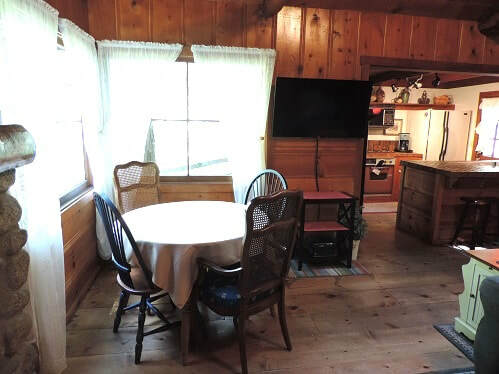 It has been well maintained and is very clean The grounds and property also well maintained, and best of all, it’s a quick walk to the town center, not to mention that Strawberry Creek is behind the cabin. 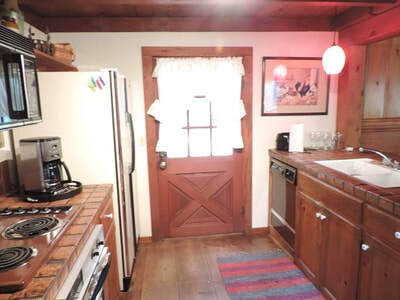 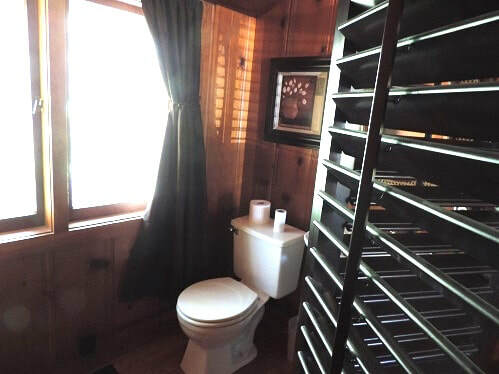 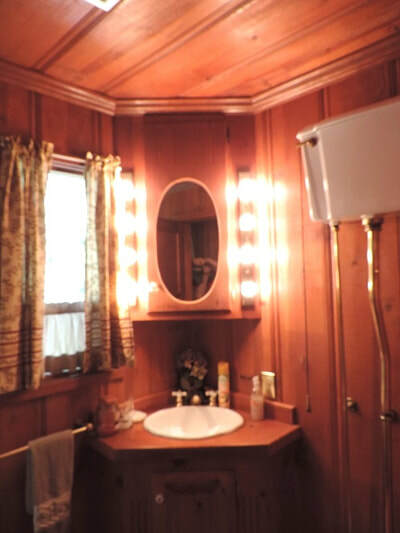 This two bedroom one ½ bath cabin sleeps 6. The living room is cozy and a river rock fireplace is gas fired and to enjoy. There’s cable TV and internet and TV’s in the living room and both bedrooms. 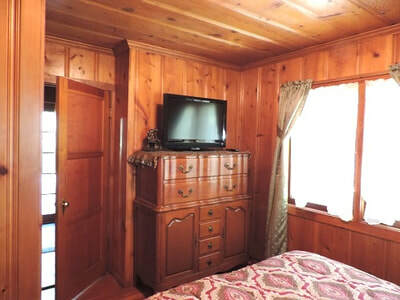 Outside is spacious and surrounded by towering old growth pine trees so the cabin is kept cool in the summer months. 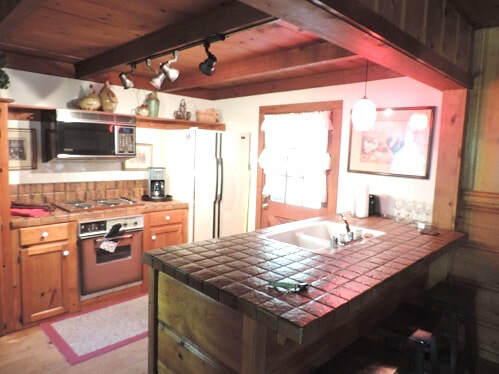 Enjoy grilling outside during the warm weather, as well as preparing cozy meals indoors with the warmth of a huge fire during our cooler seasons. 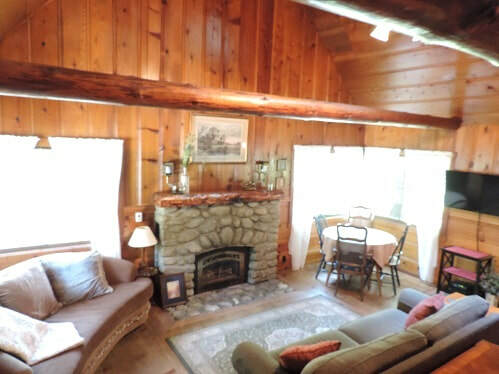 Listen to music or read in our gorgeous great room. This home is an authentic older cabin and we love it this way. 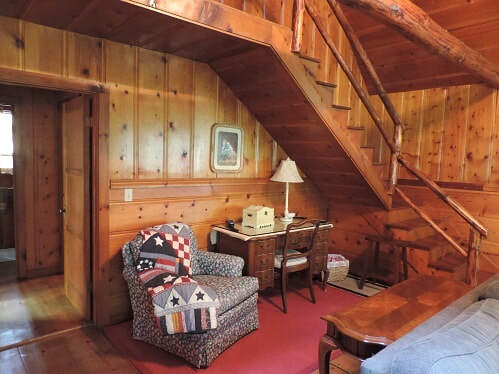 The railing is not to code and the upstairs is not recommended for children under five years of age. 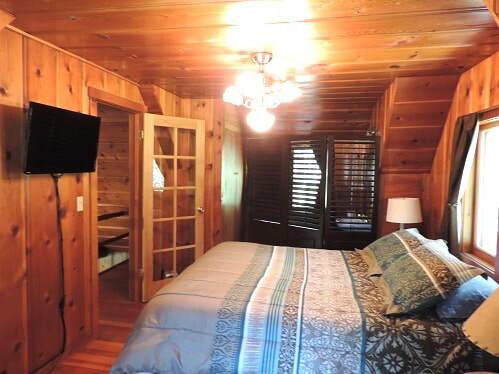 The entire family will enjoy this beautiful mountain cabin. Pet lovers will love it too as it is pet friendly. 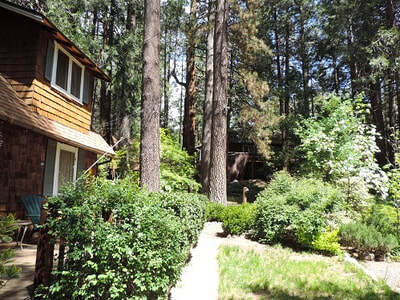 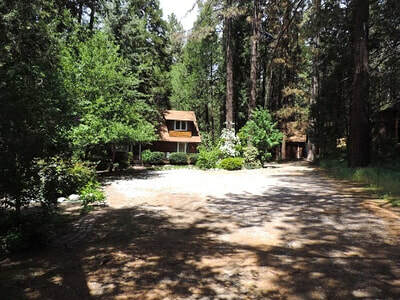 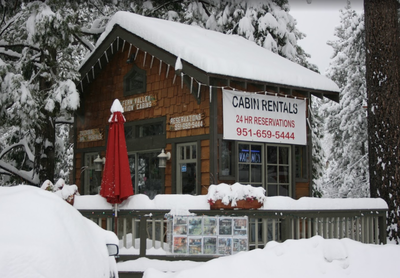 Idyllwild shops and restaurants are just a 15 minute walk.